We know far less about dealing with climate change in cities which are rapidly growing. 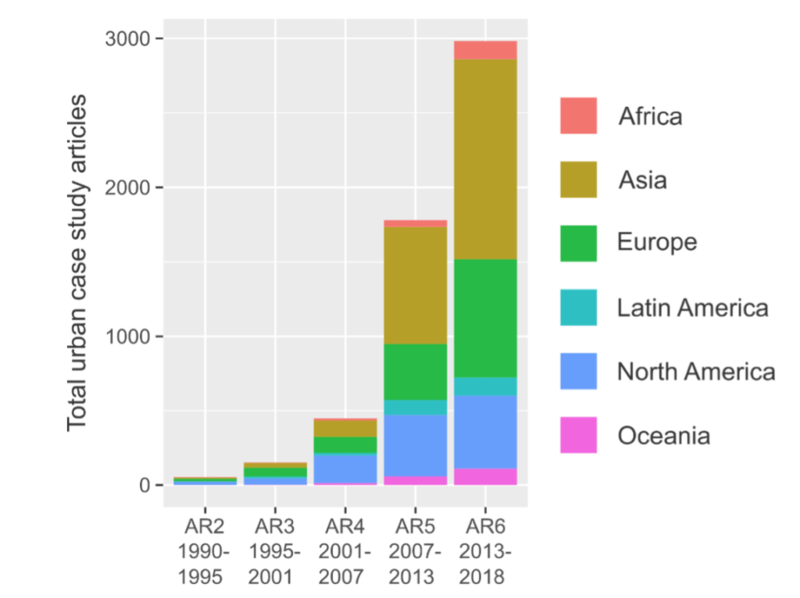 Total number of papers published that include an urban climate mitigation case study, arranged by date of publication (according to which IPCC assessment report it is eligible for) and region on the world (see legend for colours). 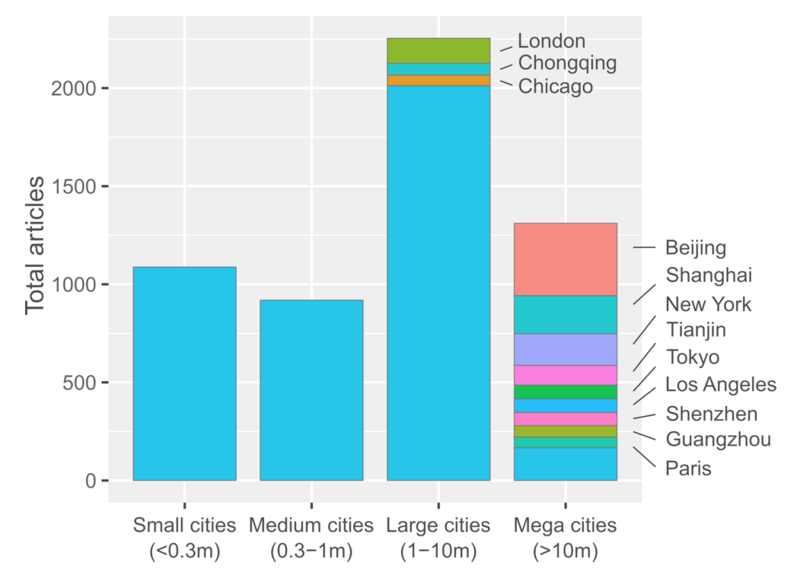 Number of urban climate mitigation case studies, grouped according to city size. The 12 most frequently studied cities are labelled. Population data from UN World Urbanisation Prospects (2018 revision), using agglomeration data where available. 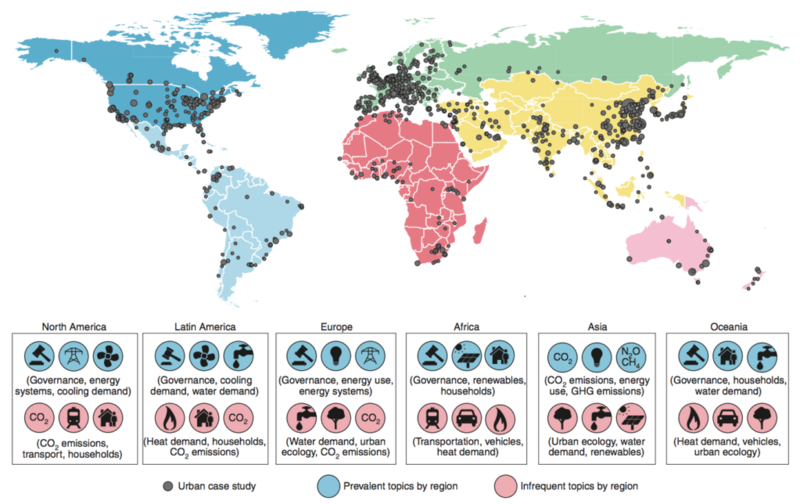 Map of global coverage of urban case studies (shown by grey circles). The larger the circle, the more case studies there are for that city. For each continent, the topic distribution of associated case studies is summarised, and the highest (blue circles) and lowest (pink circles) scoring topics are shown. 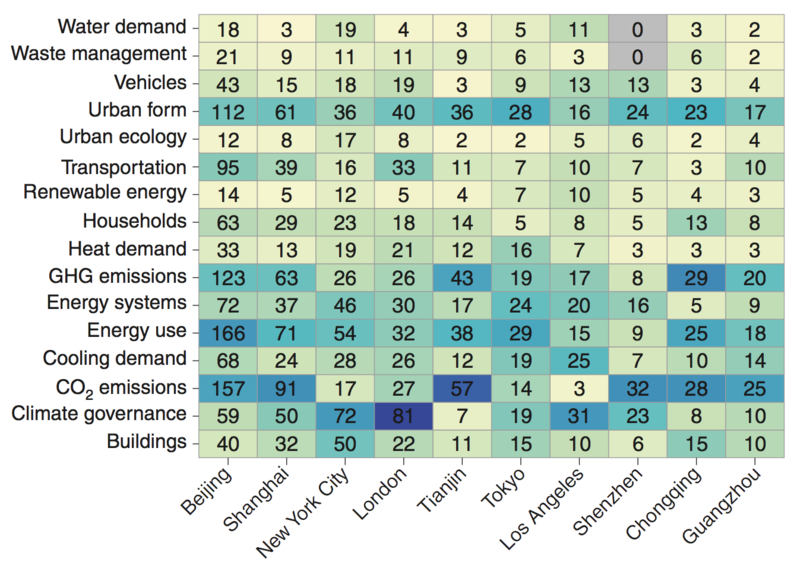 Grid of number of mitigation studies by topic for the 10 cities with the most publications. The dark blue shading indicates the main topic focus of case study literature within each city. Note, because our literature search included keywords only for climate mitigation, indicated studies are not comprehensive, particularly where large and relevant sectoral literatures exist but are not yet framed in terms of emissions reductions (for example, transport).